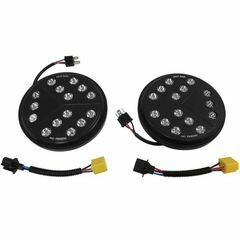 Fits: Jeep Wrangler (JK) (2007-2015); 7" LED Headlamp Kit. Includes 2 Lights; Installs In Place of OEM Headlights. Each Lamp Includes 15 Nichia LED's That Produce 6000 Lumens; 6000K Color. 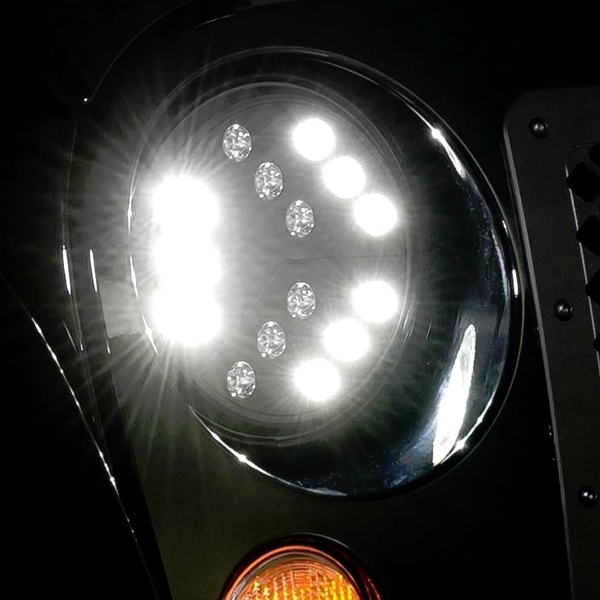 Each lamp Is Rated at 45 Watts / 3.75 Amps Draw at 12 Volts. 50,000 Hour LED Bulb Life; IP68 IP65 Rated For Shock Protection. Lamps Manufactured and Assembled In The USA.